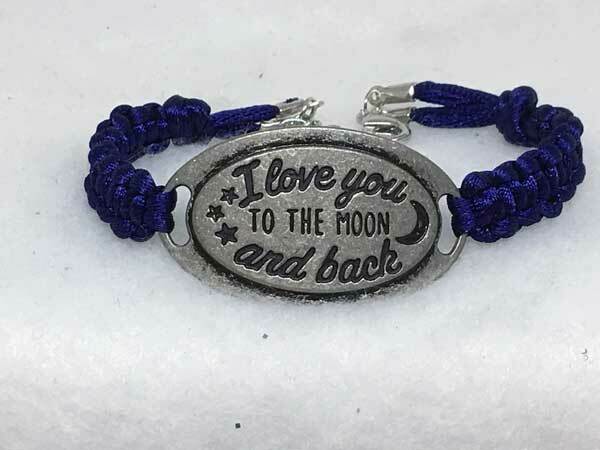 I LOVE YOU TO THE MOON AND BACK is complimented with navy-blue nylon cord. The addition of chain at the lobster-claw closure, allows the length to vary from 8 to 9 inches. This is rather long for a bracelet, but would work nicely over long-sleeved clothing. If it does not sell at this length, I will shorten it.